Want to make it in the wine business? Buy a vineyard next to Sea Smoke and Cha- Ching! Any smart businessman would just cash in, purchase the vineyard, harvest the grapes, produce wine with an abundant use of French oak and throw a little Syrah into the Pinot and money, money, money. Only a fool would purchase this valuable real estate and make wine the hard way; either a fool or a true visionary. Owner and winemaker, Peter Work an IT corporate executive from Denmark had the urge to leave the corporate life and dive into his true passion, wine. His love for wine drove him to the Santa Rita Hills where he found an 82 acre parcel of land which he devoted to harvesting grapes the way they were intended. Like all good Danes, Peter’s vision and purpose is a lot more global in thinking. He wanted to make wine, all the time, thinking of its effects on the ecology and the people living in the area. His decision to be biodynamic is not a marketing gimmick; there is real soul behind it. I sat with Peter for about an hour, a very different meeting from other wine makers. Instead of talking about his wine and the cute story of the name and the design choice behind the label, he discussed in detail the process of biodynamic farming. Mystical? Maybe. But it really is just natural. Biodynamic farming is making wine the way wine used to be made prior to the industrial revolution, naturally. Biodynamic is organic plus, plus. Organic farming is simply not using pesticide, insecticides nor fungicides, and that’s it. Biodynamic goes even further. It is organic farming with a larger view of the ecology around the vineyards. It involves looking at lunar and solar cycles and making vineyard management decisions based on what the Moon, Sun and more importantly, the vine say. It involves harvesting, by returning the compost back into the vineyards to perpetuate life. The farmer needs to look at the insects and provide a safe haven for them, all the time, creating a harmony between pest and grape. 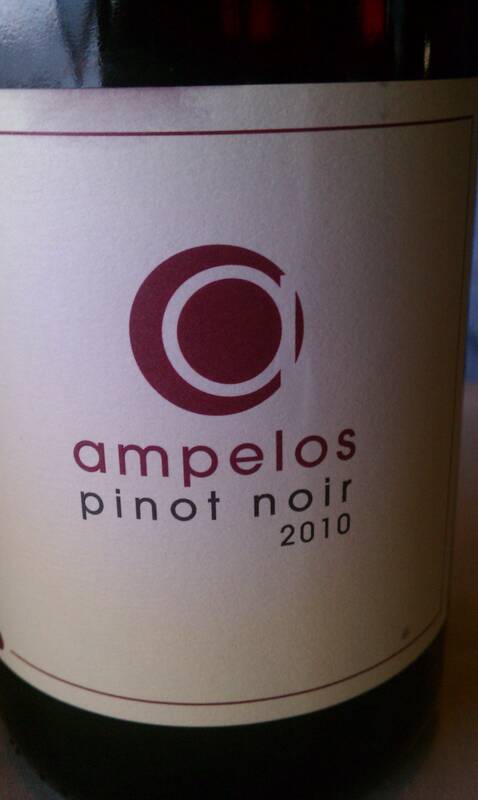 Here is an example of how Ampelos manages their vineyards. It starts with chickens. There is a family of chickens which is kept in portable chicken coops. These coops are driven around the vineyard every day. The chickens are let out to eat undesirable insects, such as ants and mille bugs and provide manure for the vines. The best part of it all is that they produce excellent eggs. Another method of managing pests without the use of pesticides, is in the way Peter decided to plant the vineyard rows. The rows are planted with legumes in every other row. This area becomes a haven for the desirable insects. The legumes are mowed down and used for compost. The bugs do not lose their habitat; they simply pop over to the next row which is left over grown. 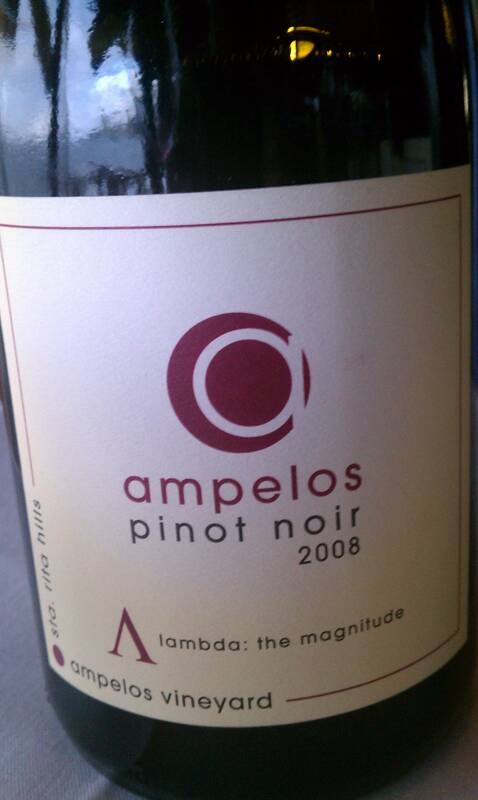 This is not something new nor different from other wineries, but what is of great importance is that Ampelos is not near any other wineries. The problem many biodynamic wineries have, is their neighbors. They can practice organic practices but if their neighbors spray chemicals, there is a good chance that those chemicals will land on their vineyards. 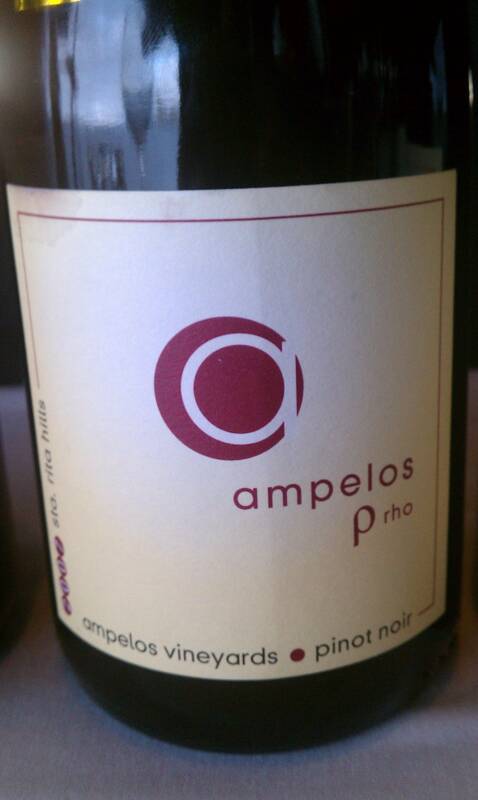 Ampelos is isolated and does not have to worry about someone else ruining their organic and biodynamic practices. Let’s look even further at what sets them apart. Did I mention that they are certified by the USDA to be organic and they are certified by Demeter for their biodynamic practices? They are also certified SIP, sustainable in practice. SIP looks at sustainability on a grandeur scheme. Not only does it mean that they use solar power to run their well, or that their energy use is environmentally friendly; but it also incorporates the sustainability of the people who work the winery. The employees are provided benefits, meals and education on sustainability. They are the only winery in the USA to have all three certifications. We can go on and on about the practices at Ampelos, I can continue to add to Ampelos pedigree by telling you the story about Peter and Rebecca’s son, Don. Well since I mentioned it, I might as well say something. He is the winemaker at Sea Smoke and while helping his parents build their vineyards, he trained with family friend, Kris Curran. When Kris left Sea Smoke, Don jumped right into the coveted role. This is all just hype. The most important question, is it any good? What does it taste like? Read below and find out. Watch this video from the Ampelos website where Peter explains his farming practices. 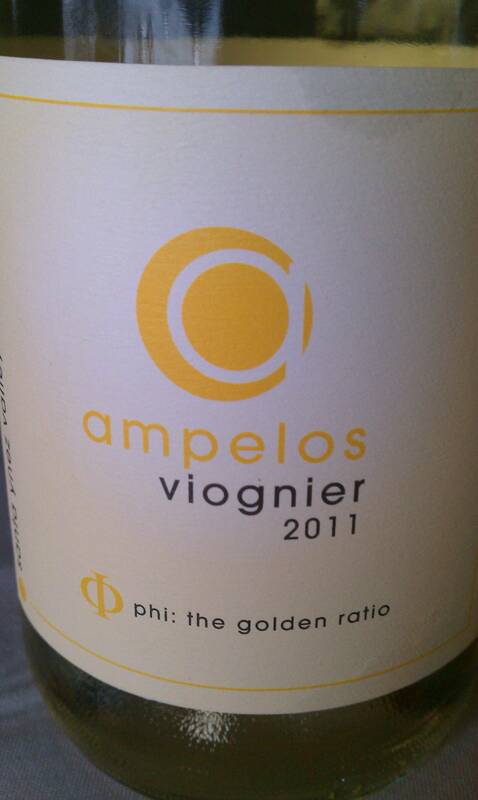 Viognier fermented in stainless steel without the addition of lactic acids. The wine is aromatic with aromas of ripe yellow peaches, honey and floral notes. The bouquet is like vanilla icing on a birthday cake. It is bright on the palate with refreshing citrus notes on the finish. Absolutely delicious! 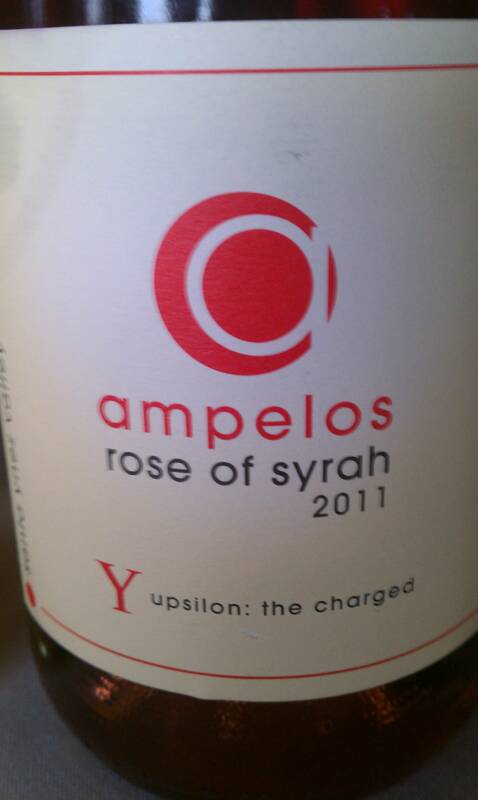 This is not a by product of their Syrah. The grapes were intentionally picked 3-4 weeks before the grapes used for their Syrah. They under went cold fermentation without malo nor oak. The wine exhibits red fruit, cherries and watermelon aromas. Their is a mix of floral flavors and minerals. Bright and crisp, perfect for the summertime. This wine undergoes 14 months of French oak with 20% of it being new. It smells of spices, cinnamon. red fruit and violets. The blue fruits appear in the background along with a warm cherry cola flavor. The wine is ripe and has a medium finish. This wine is made of Dijon clones and barreled in 30% new French oak for two years. The wine is not as intense as the previous. It sits softly on the palate with flavors of flower pedals, cherry, cola and other red fruits. Much more elegant in style. This wine undergoes 16 months of barrel aging 50% new, and then 2 1/2 years in the bottle. It has an oxidized quality, with tart cranberry intertwined with cedar. The fruit is silky, tannins are soft and the acidity is lively. The wine is intense and finishes with flavors of pomegranate and herbs. Here they are pushing the envelope of complexity…delicious! A blend of 1/4 Syrah and 3/4 Grenache. 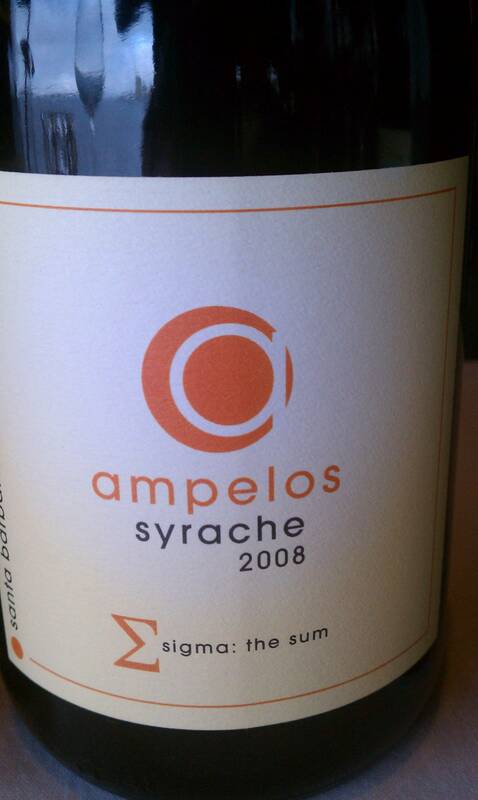 The Syrah is sourced from a cooler climate and the Grenache from a warmer. The wine shows blueberry, violets and red plums. It is rich and soft with a rose character. Although it is fruit forward, the acid is bright and prominent. This Syrah was picked late in the harvest around the first week of September. As a result of a long cool summer, the wine has excellent acidity. The wine’s color is super extracted with a deep purple color. It has flavors and aromas of violets, espresso, toasted tobacco and bubble gum.